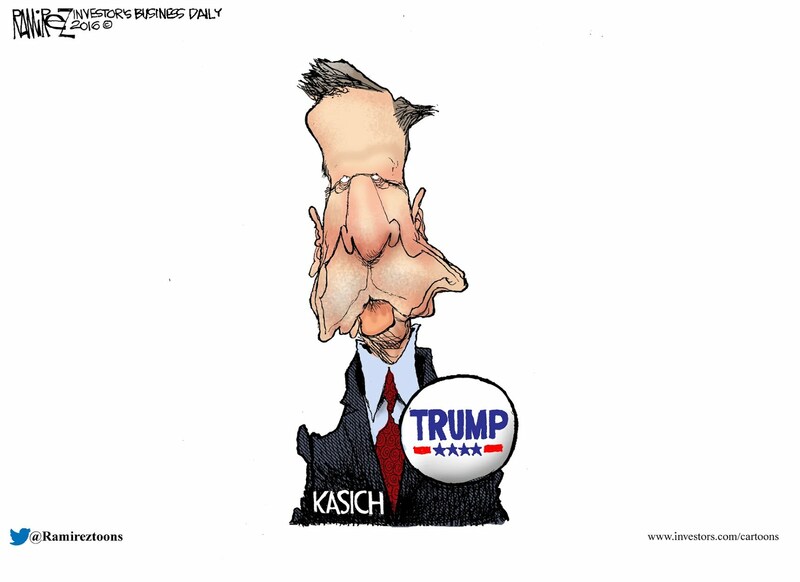 IS KASICH GOING FOR A VP SLOT? 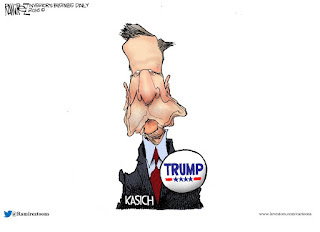 I think that it's clear that there won't be a Trump/Rubio ticket. Cruz/Rubio presents possibilities. Conservative Cruz and Rubio, as the darling of the elites? But I doubt it. If Little Marco can't bring in his own state of Florida, his value is very small (though he did win Puerto Rico yesterday). Many feel that Katich's fall-back strategy is a partnership with Trump. The latest Quinnipiac poll shows Trump +5 over Kasich in his home state of Ohio. Working for Uncle Sam is never as easy as you'd think. The article cited below underscores problems that have been growing in the Navy's Special Warfare Community and more particularly within the SEAL Teams. Even as Barack and friends tout the fact that they can send "special operators" here or there to deal with acute problems, there are not enough rifles or ammunition to go around. (Fox News) Navy SEAL teams don't have enough combat rifles to go around, even as these highly trained forces are relied on more than ever to carry out counterterrorism operations and other secretive missions, according to SEALs who have confided in Rep. Duncan Hunter, R-Calif. If you read through the article, there is also the problem with the government bureaucracy being able to pay approved expenses run up on credit cards that operators take with them into the field. It's not a new problem to anyone with experience in how things are done. The training demands of SEALs require that a vast amount of ammunition is expended in that endless cycle (and grind) of deploy - return and train - deploy. That the country can't provide enough ammo to see to those needs is telling. The tempo of near constant warfare over the past sixteen years and the layers of bureaucracy between the top and bottom is starting to show wear where the tip of the spear meets the belly of the enemy. Over the years a number of SEAL's (such as the men killed at Benghazi) have left the military for other careers because the pay is better, or because the bureaucracy was choking them. The sort of stress brought about by not enough rifles that would cause them to complain to their congressman is another brick in the wall.